I’m back from Japan (with a trip to California thrown in), but I won’t ignore this blog any longer! Since I’m still in the travel mood, I thought I’d post about my top ten travel must-haves. I adore lists, making them, checking off the items, everything about them. I use OneNote for everything (I love that I can easily sync between my laptop, desktop, phone, and iPad), and I have a whole travel section. I keep a base list of the essentials that I need, figure out my outfits for the trip, and then add on anything unique (like convertor plugs when I’m traveling abroad). Regardless of how long my trip is, where I’m going, or what the occasion, I always use a carry-on sized suitcase. I love having my stuff with me at all times, which also means that if my flight is delayed I can easily pop on an earlier flight or make last minute changes. 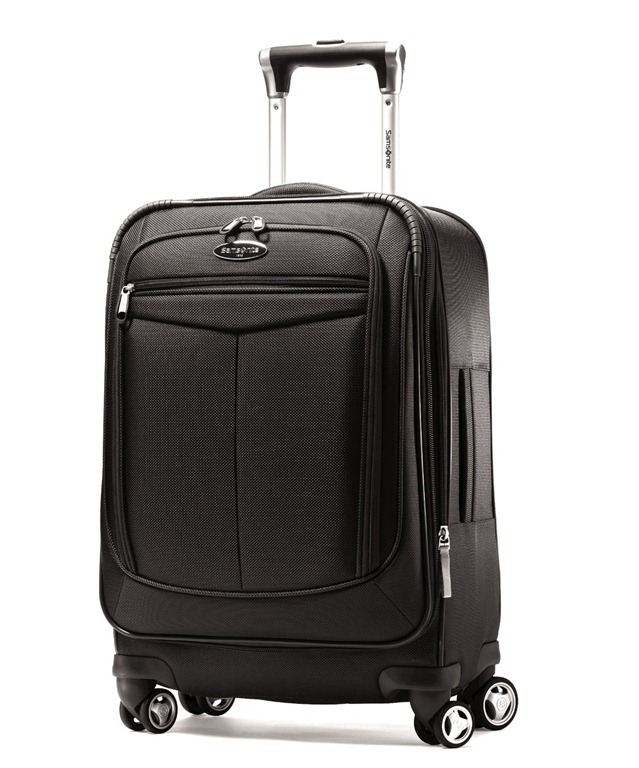 Smaller suitcases are also much easier to lug around train stations, airports, and walks to hotels. I personally love the new 4-wheeled suitcases. So much easier to wheel down the plane aisle or through the airport. Whenever Nick and I aren’t traveling together, I steal his Samsonite spinner, and eventually, I plan to pick up one of my own. I still haven’t found the perfect bag. I’m eyeing and am on the waitlist for the Lo and Sons O.G. 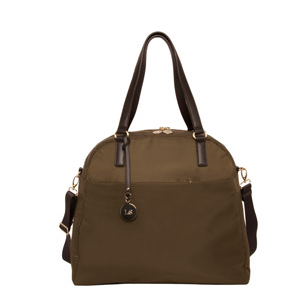 (Overnight & Gym Bag), but a nice roomy bag is the perfect accompaniment to your carry-on suitcase. Currently I’ve used both a Tory Burch tote for beach vacations and a Timbuk2 messenger bag for other trips. Use your bag to carry your wallet, entertainment, sleeping essentials, and medications. I also like to keep my toothbrush, hair brush and dry shampoo, face wipes, moisturizer, and make-up easily accessible for freshening up. With limited suitcase space, bringing multiple purses and bags is a great way to use up room that would be better purposed for clothes! 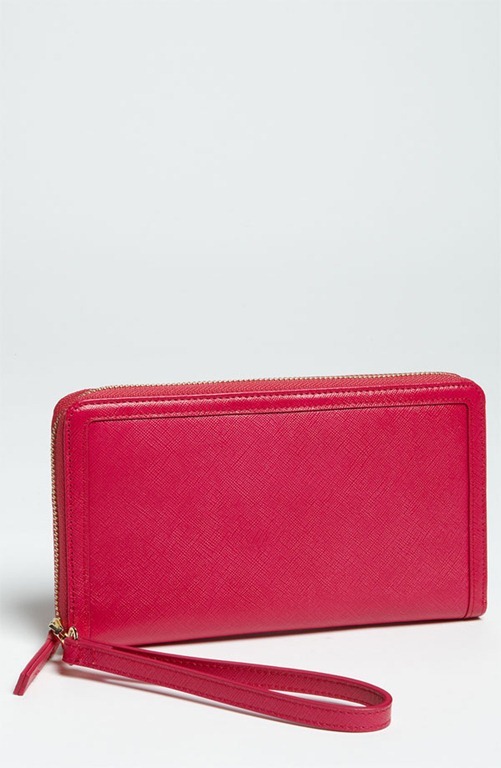 I recently purchased this halogen zip-around wallet from Nordstrom, which has plenty of card slots, a spot for a passport, a spot for cash, and a small zippered pouch for change (especially important in certain countries). It’s also easy to zip your phone and ticket right into the wallet, so they’re always handy. Cross-body bags are the perfect travel purses. Nylon bags are lightweight, and compress down great in your suitcase for transport. 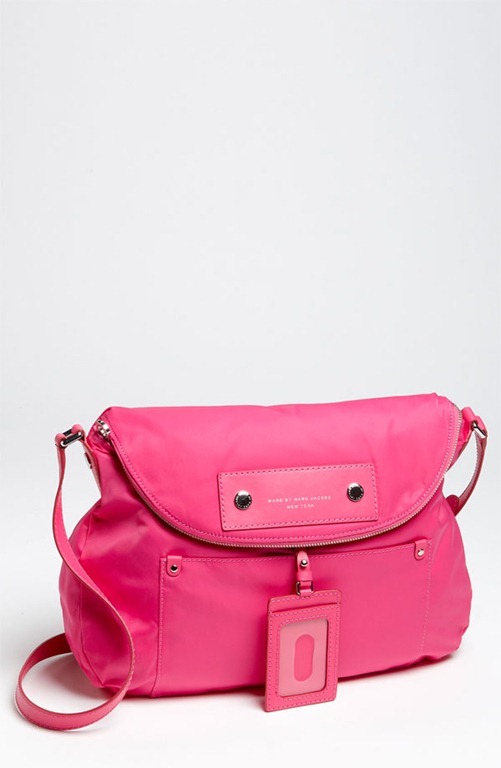 This Marc by Marc Jacobs Nylon Sasha cross-body bag is a recent Nordstrom purchase, and it is ideal for travel. Plenty of interior pockets, room for my camera (and lenses) and iPad, and easy to carry. Airplanes are notorious for being fickle with temperature, although for some reason I always end up freezing. 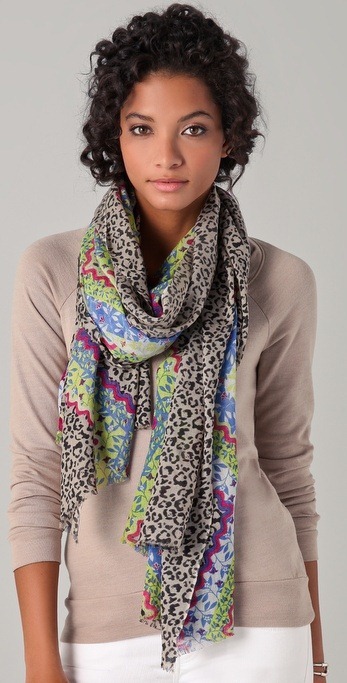 A scarf that’s big enough to double as a wrap is perfect for using as a blanket on a cold flight, and then throwing over a tee to add some pizazz to a simple outfit. 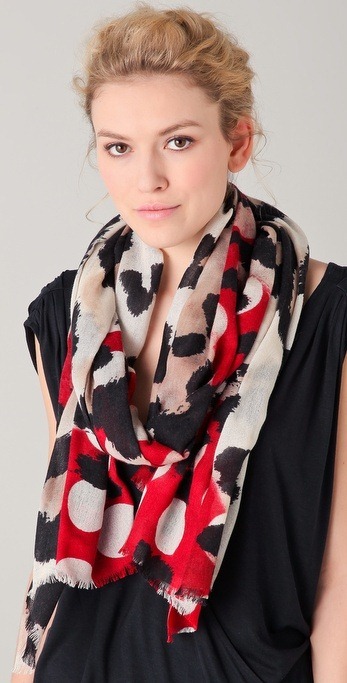 I love my pink leopard print scarf that I purchased from Henri Bendel while on a trip to New York, but these (here and here) Yarnz scarves are a fabulous options. Sleeping on planes is never easy (especially for those of us relegated to traveling in coach), but being able to rest your head and block out noise and sound makes it a lot more bearable. Add in fuzzy socks so you can keep your feet warm and take off your shoes after takeoff. Even when I’m not flying, a neck pillow makes sleeping in the car much easier, and you never know when you’re going to want to block out the light with an eye mask, or walk around someone’s cold house or hotel room. Regardless of where you’re headed, you’ll likely have periods of downtime (either on your travels, or at your final destination). I bring my iPad and my Kindle, both of which are loaded up with plenty of books, magazines, and games. I also like to download a guide for wherever I’m visiting, particularly if I’m traveling out of the country and may have limited email or data access. 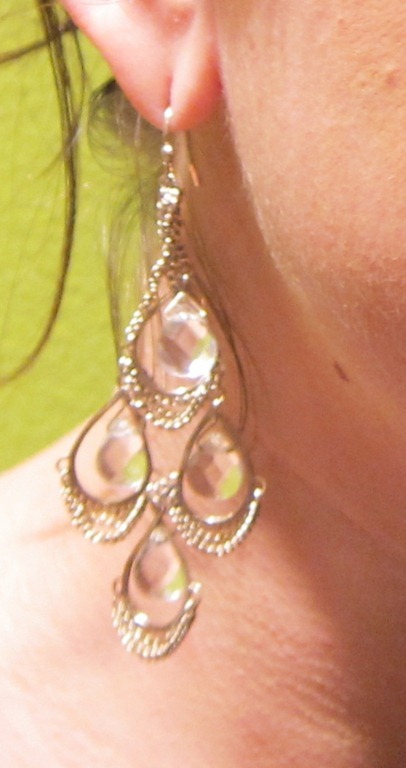 With my planned outfits I’ll often throw in a few more pieces, but I always make sure I have the basics: a neutral and stylish pair of sunglasses, a statement watch, a simple bracelet, and stud earrings. I’m not a fan of constricting clothing on long flights or car rides, but I’m also not a fan of wearing pajamas in public. Instead, I go for super comfortable but still somewhat stylish travel outfits. For beach or summertime vacations, I love maxi skirts and dresses. For year-round travel, leggings and a tunic feel like my pjs, but look socially acceptable! And the one thing I always forget, plenty of room for souvenirs! Tomorrow I fly to California, and then on Saturday, fly to Japan! I’m going with my mom, and leaving the husband and the pets behind. I’m really excited for my trip, but unfortunately I will be without my laptop and won’t be posting. I will be back on Tuesday the 17th! I love that I started pairing black and brown. It’s such a fun way to jazz up two neutral colors. 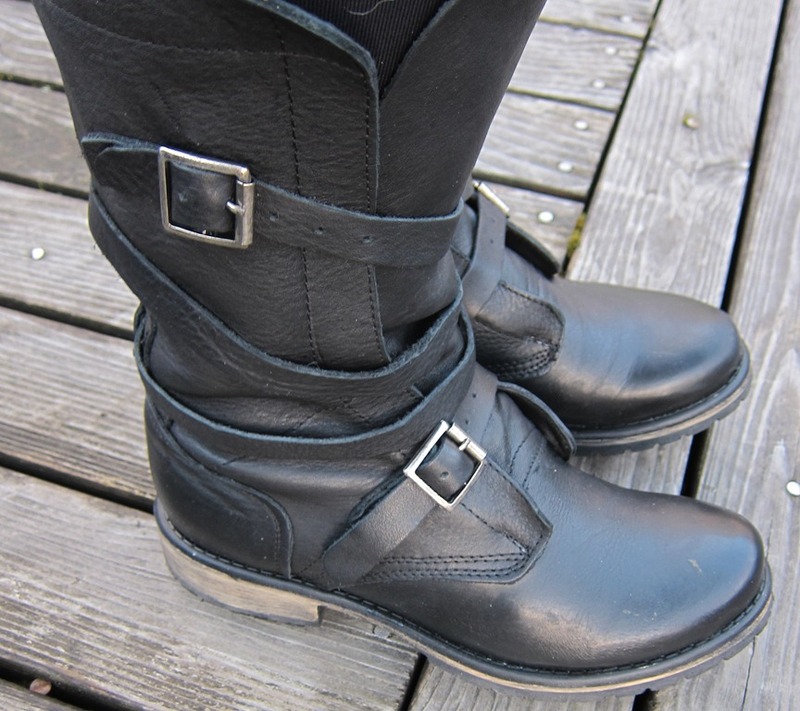 I paired a brown top with a gold necklace, black skinnies, and my Intyce boots. 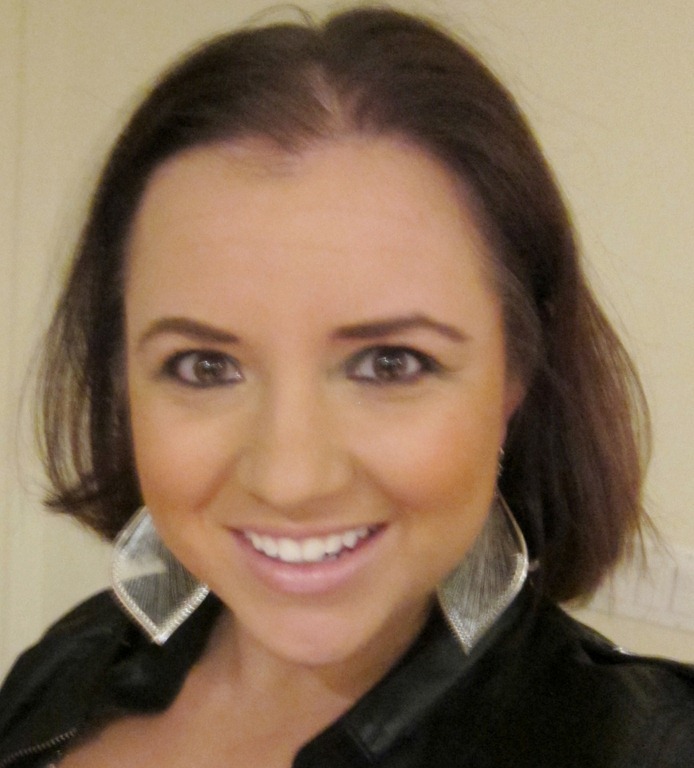 Leather bomber jackets are a great way to bring in a new twist to a sparkly outfit. I love this tank, I purchased it at the Nordstrom Anniversary sale a few years back, and I find that I’m always grabbing it from my closet. I paired the tank with a black faux-leather bomber jacket, skinny jeans, and dramatically high wedges for a girlfriend’s birthday get-together at a bar downtown. Anytime I’m getting ready for a trip, I like to wear as many outfits that I’ve planned out as possible. That way I can make sure that everything’s comfortable, fits great, and looks cute while I still have my full wardrobe at home to work with. On Saturday I decided to wear a potential travel outfit. 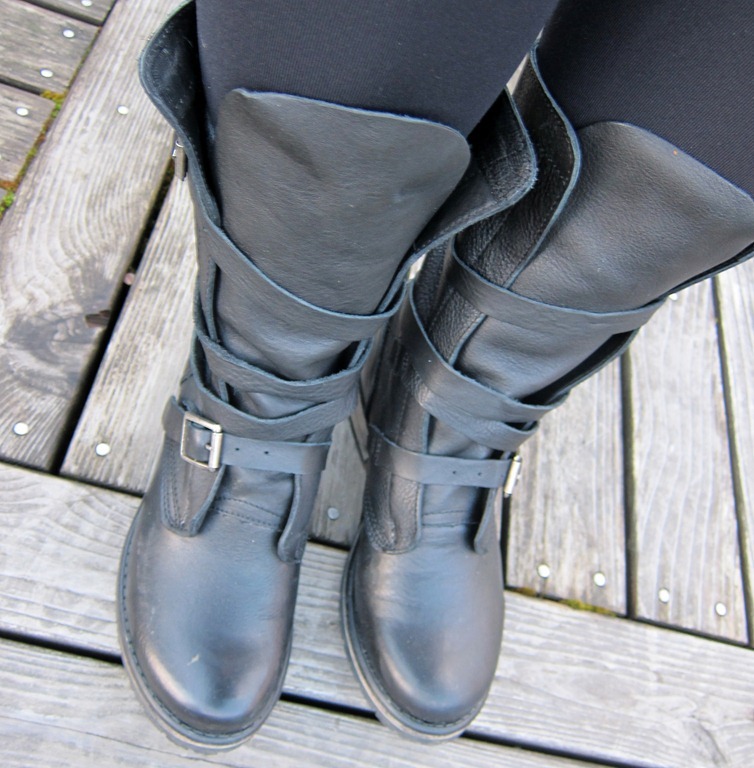 I paired my new wunder under leggings with my new motorcycle boots, a tan tunic, a white sweater, and a big chunky scarf. Ever since leggings came back into vogue, they’ve been my travel attire of choice. They look cute, and are incredibly comfortable. Basically, it feels like I’m traveling in pjs! The boots were a new purchase, from Amazon of all places! Amazon has definitely been stepping up their game in the fashion realm, with some really cute shoes and designer denim too! On Thursday morning we had another rainy Seattle day, and I just couldn’t get the lighting right. Despite all of the shadows in my pictures, I liked my simple outfit. A black top is a great way to tone down bold, colored jeans for the office. 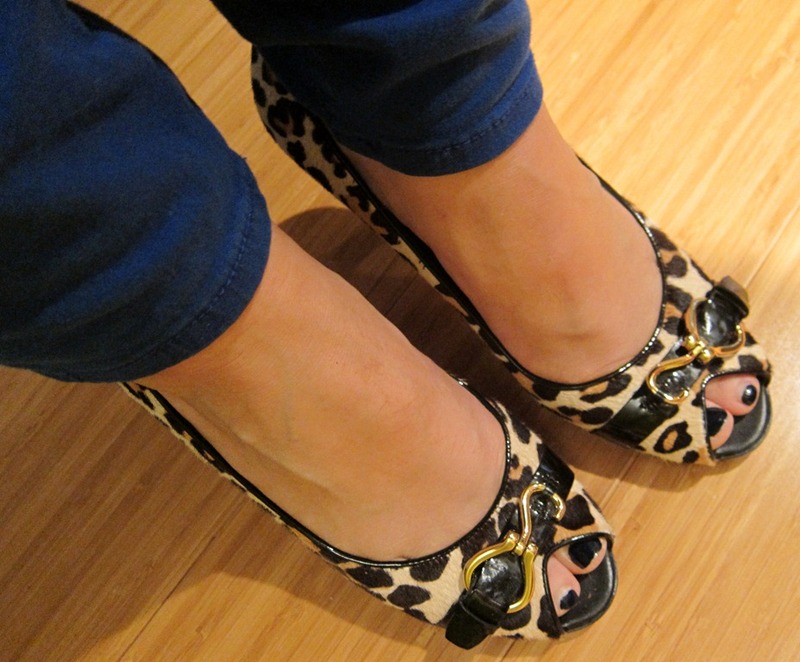 I paired cobalt blue skinnies with a black sweater, chandelier earrings, and leopard print heels.